Cook noodles until tender. Drain and rinse under cold water. Mix peanut sauce ingredients until smooth. 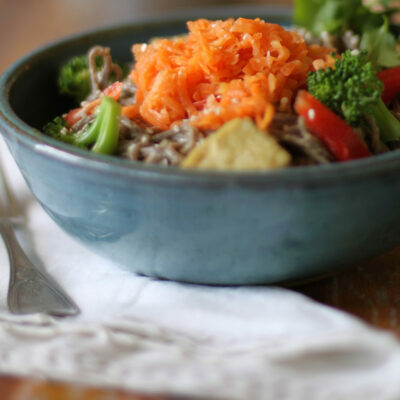 Combine peanut sauce with noodles, bell pepper, broccoli, Organic Ginger Carrots and tofu. Toss to combine. Garnish with sesame seeds and cilantro.